I was a bewildered ex-wife, flung back onto the dating scene after years of marriage. 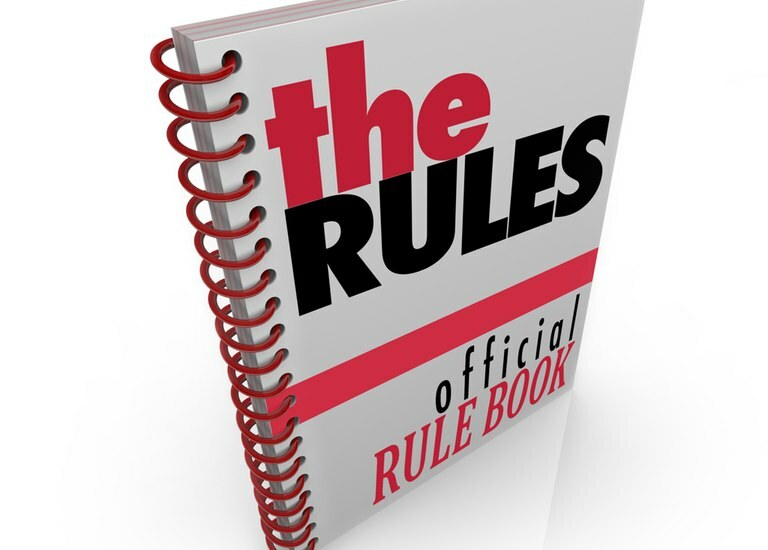 Looking for guidance I latched onto ‘The Rules’ (by Ellen Fein and Sherrie Schneider) and for a while it became my dating bible. The problem is, following The Rules is even more rigorous than the Ten Commandments. There are thirty-five of them, for a start. Woman, thou shalt not meet him halfway. Thou shalt not go Dutch on dates. Thou shalt never phone him and rarely return his calls. Thou shalt act mysteriously busy and preoccupied with thine own life. The book’s message is that nature ordains man is the hunter, and likes a challenge. So trust the natural order of things and be elusive and difficult to win. Be a little bit busy with your great life so he has to try hard to spend time with you. If he’s really serious about you he’ll pursue you even more determinedly, to the mutual happiness of both. In my vulnerable post-divorce state, I found it a convincing read. I had numerous dates but no one serious enough to try the theory out until Sam came along. We had much in common and some delicious differences. We both loved arts and cultural events, eating out, socialising, country walks with a pub at the end of them. He was active in his village church, I was a tentative churchgoer again following a divorce which had pretty much destroyed my faith. But in line with The Rules I was careful to play it cool. So for a year and a half, I kept the brakes on my side of things. I limited visits to his place 35 miles away and made him come to me more often than I came to him. I was often too busy with my own social activities to accompany him to the village events he organised. The point was to make it clear what an independent, busy life I had already, and that I wasn’t clingy. When he expressed disappointment that I couldn’t attend some function, I inwardly rejoiced, thinking he would deduce from this that if he wanted more of my company, he would have to move closer to me, realise he had to make a commitment. Looking back I can see that all my Rules-inspired behaviour did was gradually alienate him. Sam interpreted the fact I would often prefer my own activities over his as a lack of interest and commitment. He got jaded by the one-sided commute to visit me when, after all, I visited him much less often. Avoiding phone calls meant we never built up that sort of easy familiarity that’s as important as romance. Waiting a certain length of time before returning his emails or texts communicated the idea that I could take or leave him. So a promising relationship ended, and not least because following The Rules didn’t build the sense of mutual give and take necessary for it to grow healthily. Instead it gave the impression of a woman who wanted someone else’s life to revolve around hers. But the happy ending to all this is that I’ve learnt an awful lot about what not to do in future relationships. Away with game-playing and manipulation. On with natural warmth, and courtesy, and reciprocation between men and women in the way we nurture our relationships. And that’s why I’m dumping The Rules. What have you learnt from your dating experience good or bad? Katharine works in higher education, writes freelance, and drinks G&Ts. Divorced after 14 years' of marriage Katharine is happily discovering you can start life over again with very positive results.